When you need professional help to recover from a drug or alcohol addiction, one of the last things you want is to struggle with paying for treatment. While funds may not be a concern for some, many addicted individuals and their families find themselves feeling like paying for rehab is an almost impossible task. Cost concerns can also provide what seems like justification to avoid rehab; those who are already resistant to treatment might cling to the argument that they “just can’t afford it” until loved ones stop pressuring them to attend rehab. The truth, however, is that there is a wide variety of ways you can pay for treatment, no matter your current financial situation. The answer to the question “how much does rehab cost?” is one that varies significantly and can only be accurately determined on a case-by-case basis. Generally speaking, however, there are certain factors that tend to affect treatment costs. Things like geographic location, program type, program size, detox/medical care, treatment duration and facility amenities can have major effects on the overall cost of a person’s treatment. If you’re considering rehab for yourself or a loved one, you’ll be relieved to know that you have several options for paying for treatment. No matter what your current income or insurance situation, flexible options allow you to get treatment without exceeding your financial limits. Even if you are currently unemployed, have a poor credit score, and have nowhere else to turn for funding, don’t write rehab off as impossible; the knowledgeable staff at Yellowstone Recovery will work with you to explore all your options. As with any other type of medical care and treatment, payment for addiction rehab may or may not be covered as part of a given health insurance plan (and not every rehab will accept every kind of insurance). Take a look at your specific plan to determine whether addiction treatment may be covered and to what degree. 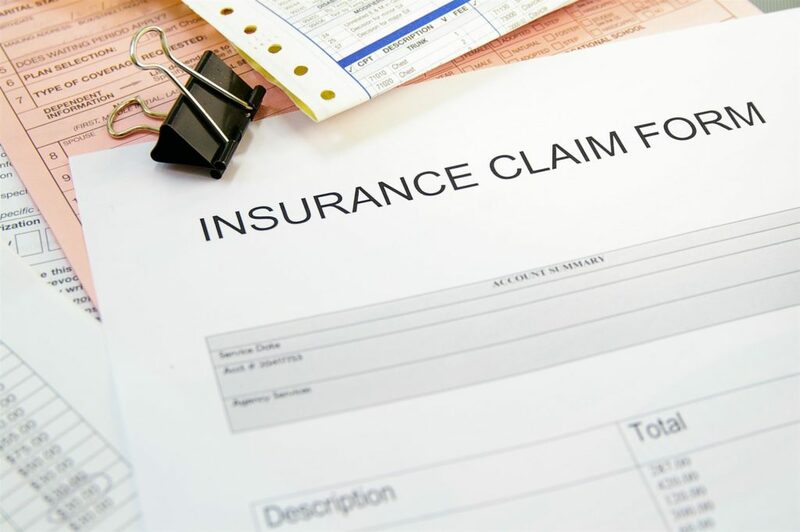 Generally, the facility will bill your insurance company directly, after which you will be billed for any outstanding costs. If you still aren’t sure how your insurance will pay into treatment, you can also check your eligibility with the treatment facility itself. Yellowstone Recovery offers an online insurance eligibility form that clients can submit to verify their coverage and benefits. Fortunately, laws like the Affordable Care Act (ACA) and the Mental Health Parity and Addiction Equity Act (MHPAEA) have somewhat bolstered coverage for addiction treatment. Health insurers are required to provide the same benefits for mental health/substance abuse treatment that they do for other medical treatment (with some exemptions). Qualified plans on the ACA’s Health Insurance Marketplace are also required to cover a variety of behavioral health services. In some cases, nonprofit organizations and small businesses that provide addiction rehab services receive grants to fund treatment for those who might otherwise be unable to afford treatment. By using grant funds, programs may be able to reduce or eliminate client costs, making rehab accessible to a wider population. The U.S. Substance Abuse and Mental Health Services Administration (SAMHSA) awards several such grants annually to a variety of programs across the country. If you’re looking for a grant-supported facility, SAMHSA’s Single State Agency Directory gives a list of contacts for getting government-assisted treatment in each state. Perhaps the simplest, most straightforward option is to pay privately for rehab with money from your bank accounts, a personal loan, or another trusted source like a willing family member. Private funding is naturally cheaper in the long run than loans that accrue interest, but it’s not always easy to come by. Money gifts from loved ones and crowdfunded donations also count as private funding, as the money is provided to the rehab by the client or a client representative. With this payment option, treatment centers are often very flexible and open to setting up a custom payment plan that allows the payer to make small, affordable payments over time. Clients may also choose to pay for treatment in a lump sum. If there are any additional unforeseen costs accrued during treatment, the payer will be billed for those as well. Many people assume that private funding is their only option, which couldn’t be further from the truth. If you can’t pay for it on your own, get a loan, or receive help from a loved one, other financing options do exist. If a personal loan from a traditional bank isn’t an option for you, you’ll be glad to know there are other ways to get financing that are tailored specifically to those seeking financial assistance for healthcare treatment. Companies such as Prosper Healthcare Lending and My Treatment Lender are dedicated healthcare lenders who work specifically with borrowers looking to pay for some sort of medical treatment—including those seeking funds for addiction treatment. Instead of maxing out high-interest credit cards and turning to more dubious lenders, addicted individuals and their loved ones can receive trustworthy financing from an organization whose goal is to reduce your healthcare costs rather than make money with fees and exorbitant rates. In particular, My Treatment Lender focuses specifically on providing funding for the treatment of behavioral health, substance abuse issues, and eating disorders. If your insurance coverage isn’t sufficient to make the necessary treatment affordable, financing from a health-specific lender can help you get the money you need without committing to a future of unending interest and unscrupulous hidden fees. Even though we at Yellowstone Recovery strive to give our clients the best quality of treatment at a fair and appropriate price, we all know that paying for rehab isn’t cheap. Much like an extended hospital stay, addiction recovery programs provide treatment, housing, and support for weeks or months at a time. Naturally, these facilities need to receive sufficient payment to continue providing safe, effective care. Before you decide that these costs put rehab out of your reach, however, remember: Your life (or the life of your loved one) hangs in the balance. Everyone deserves to be able to get help in their time of need. At Yellowstone Recovery in Orange County, we work directly with insurance companies, private payers, and health lenders to develop payment plans that allow clients to focus on recovery instead of how they’re going to pay for it. If you need help for yourself or someone you love but aren’t sure whether you can afford it, our expert staff can help you investigate your insurance coverage, identify potential lenders, and explore unique solutions that make paying for treatment both affordable and manageable. If treatment costs and financing paperwork make you hesitant or a loved one is using money as an excuse not to go to rehab, it’s important to recognize that the value of human life exceeds the cost of rehab by leaps and bounds. If you’re still not convinced, consider whether the cost of drugs or alcohol has ever stopped you or your loved one from feeding the addiction. If you’ll spend your last penny on alcohol but won’t invest in rehab, it’s not about the money—it’s simply an excuse. It’s time to stop putting your money and resources into the cycle of substance abuse and invest in your sobriety. Get started on your recovery journey today by filling out our insurance eligibility form or calling (888) 418-4188 for an admissions interview.